Details about MINT! Never Read! Papers of Martin Luther King Jr Volumes I-VII Rare Full Set! MINT! Never Read! 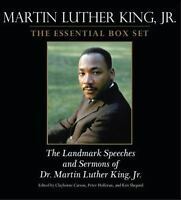 Papers of Martin Luther King Jr Volumes I-VII Rare Full Set! Why We Can't Wait by King, Martin Luther, Jr.